" While smartphones are taking on many of the features of personal computers, it is not really practical to leave them plugged into a wall throughout the day. 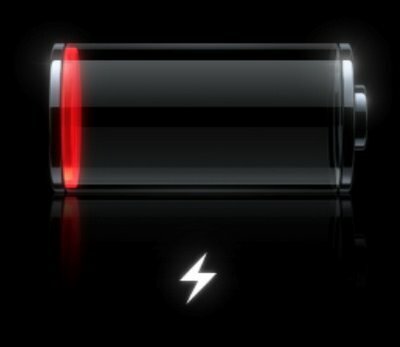 This is a problem as apps, navigation services and faster network connections are causing our batteries to run out of juice more quickly than ever. 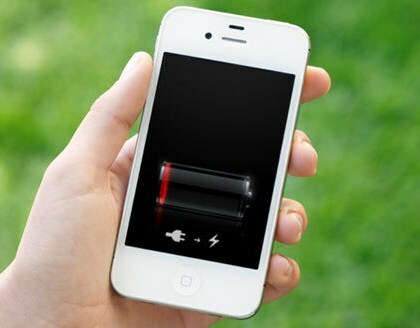 Thankfully, there are some obvious and not so obvious ways to extend battery life on our phones. Here are five tips worth exploring right away. Did you know that many of the more than one million apps available to download to smartphones contain programming errors and software bugs that mishandle power control? This means your devices can remain active when they should be sleeping. Yikes! Fortunately, not all apps are bad apples. In fact, there are a few out there dedicated to improving battery life. One recent offering called Carat (available on both iOS andAndroid devices) does more than simply monitor battery use. Over time, it observes how you use your smartphone and then makes suggestions about which apps you might be able to ditch to save battery juice. The app is still very much a work in progress, but it offers a lot of potential and at the very least can help you identify the most rotten app offenders. If you’re an Android user, an app like JuiceDefender could be well worth a look. It offers many customizable features to help you get the best battery life. It can automatically and transparently manage most battery draining components, like 3G/4G connectivity and Wi-Fi. You can set a schedule when you want things to switch on or off, and the app is even “location aware” so it knows when to do things like switch off Wi-Fi when you are away from a known signal. A more extreme and controversial way to save battery life on Android devices is to “root” the phones by using a custom read-only memory (ROM). While this can improve battery life by removing the pre-installed apps that drain juice every time you turn on your phone, rooting may lead to other complications that only advanced users can figure out. And most manufacturers and carriers won’t honor warranties after a phone has been rooted. So proceed with caution, if at all. There is a good chance that there are apps running in the background of your phone that you think you closed or reappear each time you reboot your device. Fortunately, it’s easy to identify and correct this on the iOS and Android operating systems with a few easy steps. On iOS, a double click of the home button pops up a row of icons at the bottom of the screen. These are the most recent apps that you used. Holding your finger on one of the icons for a second brings up the ability to fully ‘kill’ the app in question. Do this regularly and you will very quickly discover some battery life improvements. On Android, in the “Settings” screen, choose “Applications.” Under the “Running Services” tab you’ll be able to see which apps are still running, even if you think you’ve backed out of them and closed them down. It’s usually safe to stop certain apps, but it should be noted that some system apps run all the time, and terminating them early could cause issues. For example, killing certain Google services may mean you don’t get notified of incoming Gmail, so exercise caution. Speaking of Google, Android users should also check the “Accounts & Sync” section in their Settings. Turning off automatic syncing for some of the apps may help gain back some battery life. Sure, you may still want to always sync your email, but you might be able to live without constantly syncing services like weather, Flickr, Twitter and other services perhaps. This advice applies to both iOS and Android users: check all your apps and see if they have options that let you switch off background syncing or updates. Some Android users also swear by various ‘task killer’ apps to keep their phone running smoothly and free of battery-sapping processes. Your smartphone most likely uses a Lithium Ion (Li-ion) battery. Be aware that extreme temperatures can negatively impact battery life so whenever possible keep your device in elements between 32 and 95 degrees Fahrenheit. While a frigid phone should reclaim its functionality once it returns to room temperature, an overheated device could permanently ruin your battery. Over the course of a year, prolonged exposure to climates above 95 degrees could reduce a phone capacity by as much as 35 percent. Beyond the obvious tips of keeping your phone out of the sun for prolonged periods of time or removing it from the car’s glove compartment on a hot summer day, there are less straightforward and equally important methods you can embrace to keep it cool. Remove any protective cover or accessory every time your phone is being charged. When you’re walking around, keep your phone in a ventilated holster or belt clip rather than a sweaty hand or pocket. And while over-charging will also contribute to an overheated phone, Ars Technica reminds us that it’s best to plug your phone in when low on juice rather than to run it out completely. While Apple’s iPhone continues to be a 3G-only device for now (expect 4G LTE capabilities for its next iteration come October), Android users are enjoying the spoils of running their smartphones on super-fast 4G LTE networks offered by Verizon, AT&T and Sprint. Trouble is, 4G can be a real battery zapper, especially if you’re using it in an area of marginal coverage. If in doubt, your Android probably has a toggle setting where you can set your phone to use only 3G, You will soon see an extension to battery life that way while not really compromising speed or service. And disabling a 4G connection when not needed is just the start. If you know you’re going to be away from home or a known wireless Internet connection, turn off your Wi-Fi locator. Also, GPS is particularly handy if you find yourself navigating somewhere new, but don’t leave it on all the time if you’re not using it. The same thing applies to Bluetooth. One of the biggest battery suckers of modern smartphones are their bright, high-resolution displays. Automatic brightness controls that adapt to light can help, and you may want to check sound and vibration notifications and adjust those too. If you discover your smartphone seems to be running out of battery life quicker than ever despite your habits remaining unchanged, it could be worth investing in a spare or new battery. It’s worth noting that aftermarket batteries not made by the original equipment manufacturers (OEMs) are considerably cheaper. They do, however, vary in quality. Some aftermarket batteries can be trusted, but be aware of ‘too good to be true’ prices for smartphone batteries on retailers like eBay. You could end up with junk, or worse, a faulty battery that permanently damage your device. Buy carefully and smartly from trusted retailers to be safe. And if you own an iPhone or other smartphone that doesn’t allow you to remove or replace its battery, consider buying a battery booster or at least an extra charger. Though they will add a bit of bulk to your usually-svelte device, something like the Mophie Juice Pack Air could effectively double the talk time of your iPhone 4 or 4S. There’s even the ReVIVE Series Solar Restore, a solar-powered accessory that will give a little bit of extra battery boost to your smartphone. Though these can only charge about 50 percent of an internal battery, that could still be enough to get you through the day. If not, an extra charger for the car or office should do the trick. "